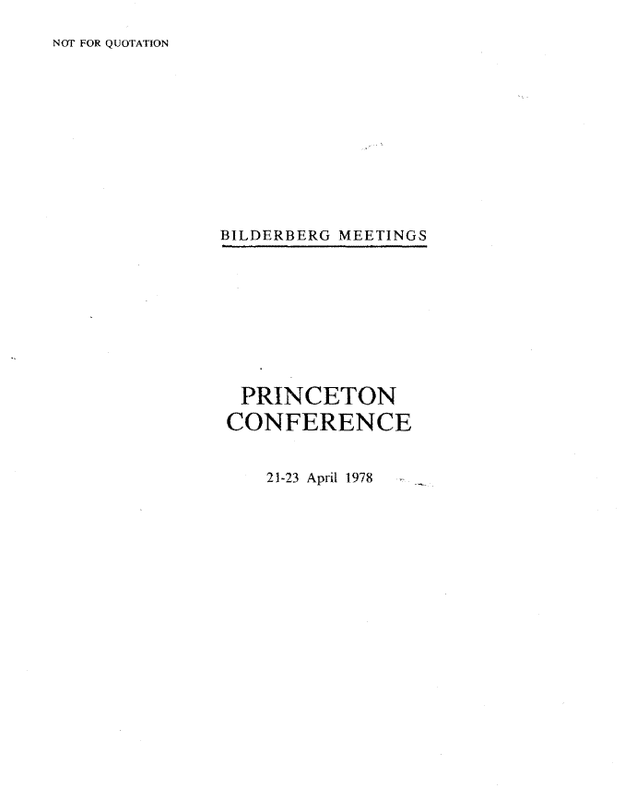 The twenty-sixth Bilderberg Meeting was held at the Henry Chauncey Conference Center, Princeton, New Jersey, U.S.A., on 21, 22 and 23 April 1978, under the chairmanship of Lord Home of the Hirsel, K.T. There were 101 participants, drawn from a variety of fields: Government and politics, diplomacy, industry, trade unions, banking, the armed forces, journalism, education and specialized research institutes. They came from 18 Western European countries, the United States, Canada and various international organizations. In accordance with the rules adopted at each Meeting, all participants spoke in a purely personal capacity, without in any way committing the government or organization to which they belonged. To enable participants to speak frankly, the discussions were confidential with no reporters being admitted. I. Western defense with its political implications. II. The changing structure of production and trade: consequences for the Western industrialized countries. In addition to the above formal agenda, a half day’s discussion was devoted to current problems in European-American relations. In opening the meeting, the Chairman, Lord Home, read the text of a telegram of good wishes which he had sent to the President of the United States on behalf of all the Bilderberg participants.